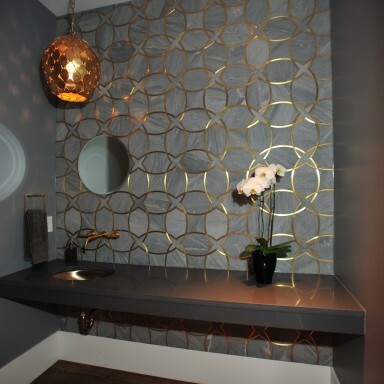 A stunning wall of antiqued Borealis Blue laser-cut marble inset with a bronze inlay features in this fabulous powder room. 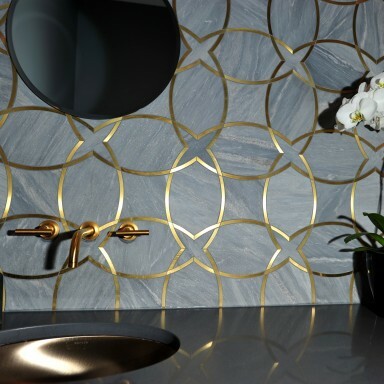 The powder room sleek counter top is Caesarstone contrasting the fixtures, faucet and p-trap which are antiqued gold. 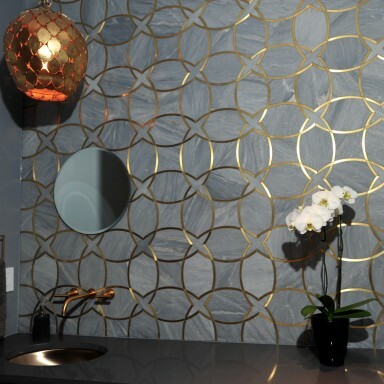 The gold pendant fixture is a whimsical touch, the mirror under-scaled and minimal.